I recently was awarded an extended contract with Opera Solutions to continue as an industry analyst and contributor for their blog SignalCentral: The Hottest Spot for Big Data Science. I will be writing on a broad range of topics including big data, data science, machine learning, AI, and deep learning. Opera Solutions is a global provider of advanced analytics software solutions that address the persistent problem of scaling Big Data analytics. The company has over 175 data scientists on staff. My original announcement was on March 31, 2014. I’m very pleased to continue my work with this leading consulting group. 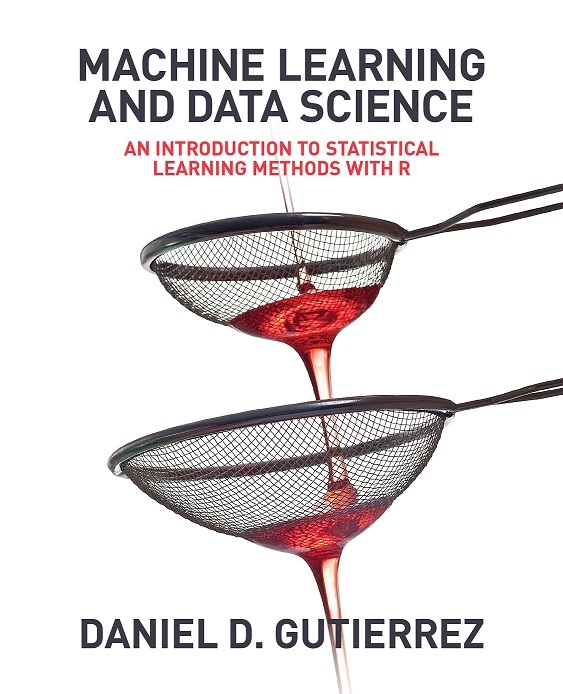 The book is perfect for newbies just entering the data science field who wish to quickly get up to speed with the technology. I plan to use the book for the introductory courses I teach for corporations and universities. You can pre-order the book on Amazon HERE. You can find all the R code used in the book at this GitHub repo. I was pleased to receive an invitation to be on a panel discussion for the upcoming UCLA Statistics Career Night. Hosted by the UCLA Undergraduate Statistics Club, the panel of experts in the field will convey their insights into statistics as a profession. As a practicing data scientist who routinely uses mathematical statistics in my work with machine learning, I’m looking forward to a lively discourse about this quickly growing field. As a UCLA alumnus, it will be great to interact with the next generation of data scientist. 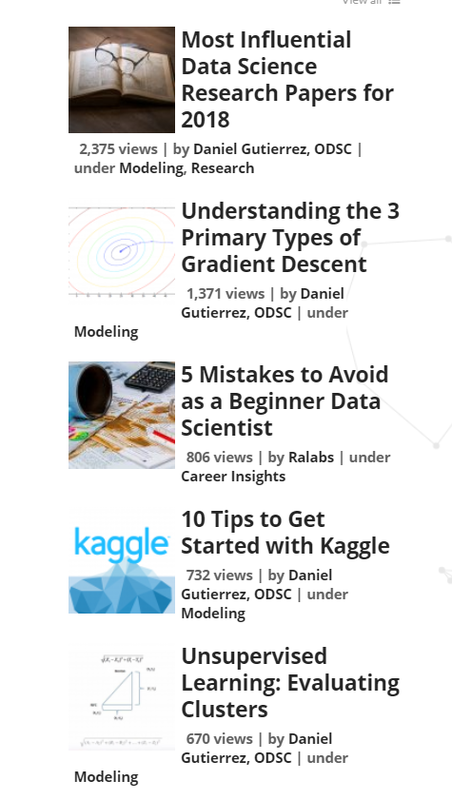 I recently was recruited by Opera Solutions to be a contributor for their blog SignalCentral: The Hottest Spot for Big Data Science. I will be writing on a broad range of topics including big data, data science, and machine learning. Opera Solutions, LLC is a technology and analytics company mainly focused on capturing profit growth opportunities emerging from big data. The company has over 175 data scientists on staff. Here is my first post: Data Science and ICD-10 Team Up to Benefit Healthcare. I recently was recruited to be a mentor in Data Science for top accelerator Launch Pad LA. In the heart of Silicon Beach, Launch Pad LA is a highly ranked start-up accelerator for exceptional entrepreneurs. They invest $25k – $100k, offer free office space one block from the Santa Monica beach, and provide access to a massive network of mentors, investors and advisers. I will be mentoring 4 portfolio companies on how to gain benefit from data science in yielding more value from their corporate data assets. I am very much looking forward to this new assignment. UPDATE! 3/27/2014 – I had a blast meeting with four young companies at Launch Pad LA: Focus: TRAINR, Cojoin Inc., Monospace, and Parachute. I found all of the founders I met with to be very bright and each business promising. I was able to convey how data science and machine learning could be applied to all. These are companies to watch out for. I was asked to be co-organizer of the new Los Angeles Big Data meetup group. The focus of the group will be to highlight how enterprises are adopting the big data technology stack, especially Hadoop. If you’re in the LA area, please considering joining up and attending our upcoming meetups. If you’re outside of LA, we will make an effort to make slides available for download, and when possible audio or video recordings of the presentations. UPDATE! 2/18/2014 – the first meeting of the LA Big Data group was announced today. It will take place on March 26 over at Cross Campus. I will be presenting a talk “Introduction to Big Data.” I’m really looking forward to the success of this brand new group. UPDATE! 3/26/2014 – the LABDUG meetup was a resounding success with its 300+ members. The venue at the new Cross Campus location was superb. The slides for my talk are available HERE.